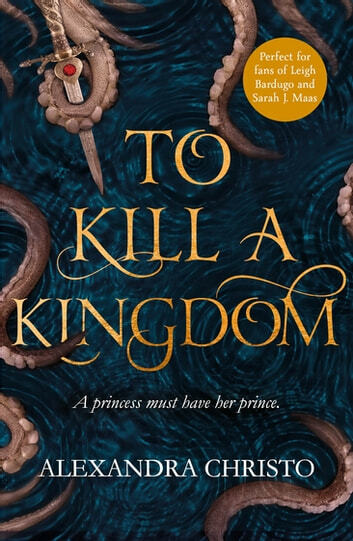 Dark and romantic YA fantasy for fans of Sarah J Maas - about the siren with a taste for royal blood and the prince who has sworn to destroy her. Princess Lira is siren royalty and the most lethal of them all. With the hearts of seventeen princes in her collection, she is revered across the sea. Until a twist of fate forces her to kill one of her own. 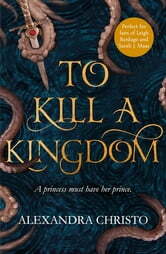 To punish her daughter, the Sea Queen transforms Lira into the one thing they loathe most - a human. Robbed of her song, Lira has until the winter solstice to deliver Prince Elian's heart to the Sea Queen or remain a human forever. The ocean is the only place Prince Elian calls home, even though he is heir to the most powerful kingdom in the world. Hunting sirens is more than an unsavoury hobby - it's his calling. When he rescues a drowning woman in the ocean, she's more than what she appears. She promises to help him find the key to destroying all of sirenkind for good. But can he trust her? And just how many deals will Elian have to barter to eliminate mankind's greatest enemy? The first thing that strikes you about this book is the beautifully realised world created as the setting of this book. It all takes place in a world similar to ours but one where not all countries are landbound, the largest being the oceans ruled over by the Sea Queen who governs all territories. Every country has it's royalty and their own specialities. Midas is a land of gold and wealth, Pagos is a land of ice and snow, Keleftis is a land of cold blooded murderers - you get the idea. The strokes I have painted them with her are broad but even if they only exist on the page for a chapter (or less) you get a strong impression of a fully realised world - I am guessing there are copious notes at the authors desk describing the lands and their peoples. The basis of the world borrows much from all different mythologies - from the Greek to medieval folk tales. Mermaids there might be but they are not the seductive half woman/half fish creatures beloved of Hans Christian Andersen and the Sirens are as beautiful and deadly as Greek myth would have us believe but these don't turn in to ugly hags once the sailor is captured. Pirates get an outing too and these are more Jack Sparrow than Edward Teach. On top of the richly tapestried world you also get a wonderfully crafted tale of adventure and romance. This is a world of, mostly, courtly love and chivalry and just because you are warring families doesn't mean that Romeo can't get and keep his Juliet this time. With interspersed themes of family duty and internal strife and a light dusting of peer pressure it juggles modern mores in to the fantasy setting seamlessly and with joy and verve. The characterisation is drawn well, with the main players (Elian and Lira) being multifaceted people with opinions often shaped by their own world experience but who aren't afraid to change. You do get brief insights in to others in the book but they are often a little flat and never step beyond the page in the same way Elian and Lira do. This book may be targeted at the Teen & Young Adult bracket but it is a compelling read for those who long left that categorisation far behind us. I RECEIVED A FREE COPY OF THIS BOOK FROM READERS FIRST IN EXCHANGE FOR AN HONEST REVIEW. Ik vond het echt een leuk boek! Het is een hate-to-love story. Wat ik jammer vond is dat het best snel gaat, de schrijfster had dit boek best wel wat langer kunnen maken want vooral het einde gaat opeens heel snel. De spanning begint en drie hoofdstukken later is het boek uit.. Ook had de wereld wel wat beter uitgelegd kunnen worden, er wordt wel wat geschiedenis gegeven en ongelovelijk veel namen maar eigenlijk wordt er niks mee gedaan, de landen worden genoemd en dat is het. Over het onderwater rijk krijg je helemaal niks te weten. Behalve Elian en Lira zijn de rest van de personages niet uitgewerkt, ze zijn er gewoon.. ik vind t heel jammer dat ze deze mensen niet echt heeft uitgewerkt, had dit boek echt leuker gemaakt. Maar ondanks dat was het echt een leuk en lief boek en ik raad het aan! That book is THE book. It is my favorite book of the year so far and I’ll definitely reread it soon. I’m in love with the universe, with the writing an with the characters. I loooove it.